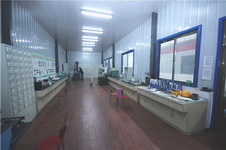 Dandong Foundry is a professional Casting Foundry in China. 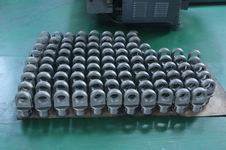 Producing Gray Iron, Ductile Iron and Steel Castings over 2000 types. The annual production of our foundry can reach 10,000 tons and 60% have been exported to USA, Germany, Australia, UK and Japan. 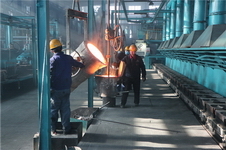 Dandong Foundry has become a well-known iron foundry worldwide. In the past, our foundry's name was "Dandong Ruiding Founding Co., Ltd". 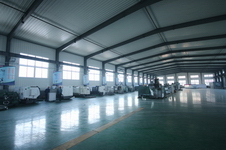 By 2014, we have smoothly moved to our new foundry plant, and changed our name into "Dandong Fuding Engineering Machinery Co., Ltd". Dandong Foundry mainly produces gray iron and ductile iron castings for Agricultural and Construction Machinery, residential and industrial Stoves and Boilers, and some metal castings for Pumps and Valves, Pipe Fittings, Manholes and Tugboats etc. © LIAONING BORUI MACHINERY CO., LTD.